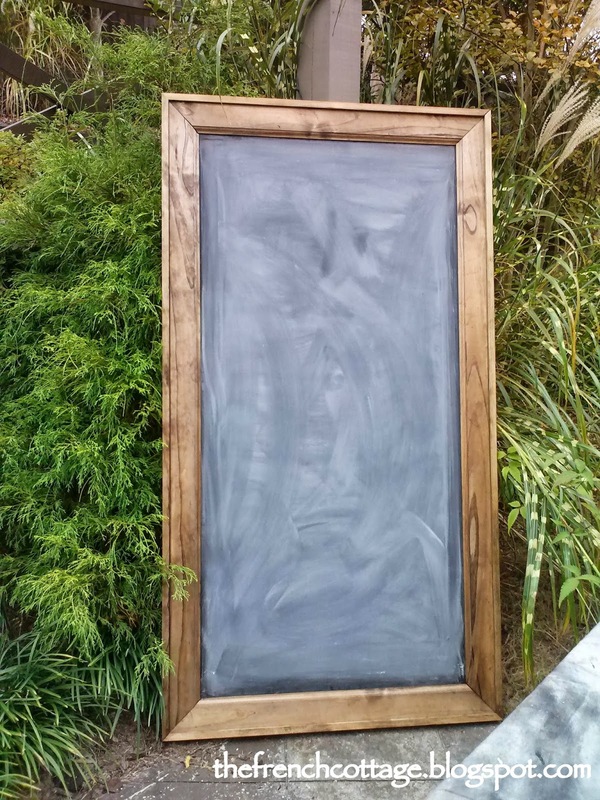 Restoration Hardware Chalkboard Knockoff - Oak House Design Co.
For a couple of years I have had a tear out of this chalkboard from Restoration Hardware. 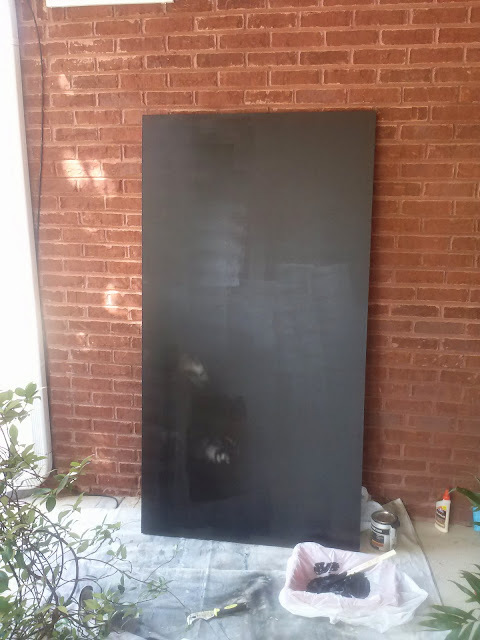 My inner 'frugalista' would not allow me to spend $499 on a chalkboard. But I knew that I could build one on my own. So finally this week, I bit the bullet and decided to do it. And she is glorious! I still consider myself an amateur woodworker, so it is not perfect. But it actually turned out even better than I anticipated! I figured if I liked it, someone else would probably like to build their own as well, so below is a tutorial. 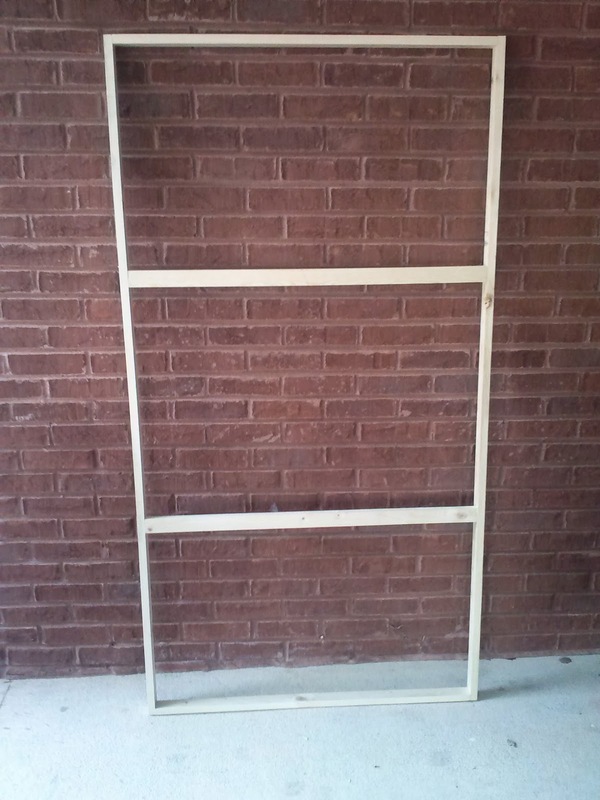 To get the project started I had to create a frame as a base. For the longest, I felt stumped as to what do. I finally settled on building a frame out of 1x2's. These pieces were attached with screws. The outside lengths are on edge so that the 3/4" edge is showing. I did this so that I could later attach outer trim. 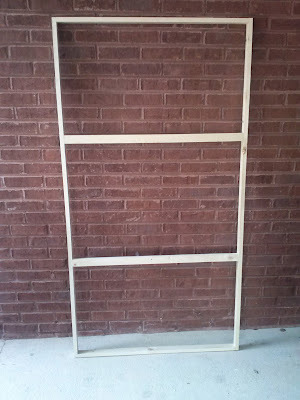 The two inside lengths are flat and flush with the front of the frame. I did this so that it would better support the hardboard that I would later attach. My frame was 36"x 68". If I were to build another one, I would add another support so that they were closer to 16" apart. These were spaced about 23" apart. 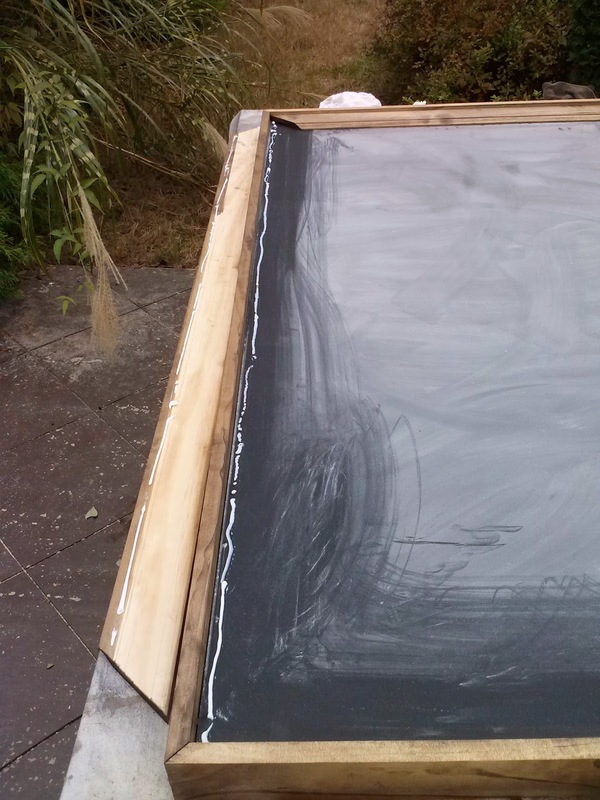 I then attached a 36" x 68" sheet of quarter-inch (1/4") hardboard to the frame to serve as the chalkboard surface. I used a nail gun and 1 1/4" nails to attach it. I also used regular wood glue on the back as well. This is where I ran into my first problem. 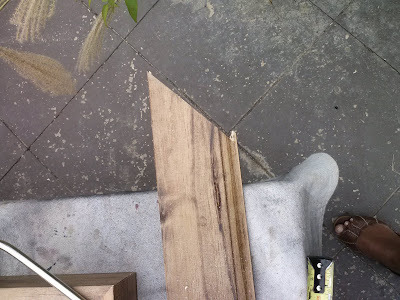 I got the hardboard cut at the store, but it was off by about 3/16th of an inch. 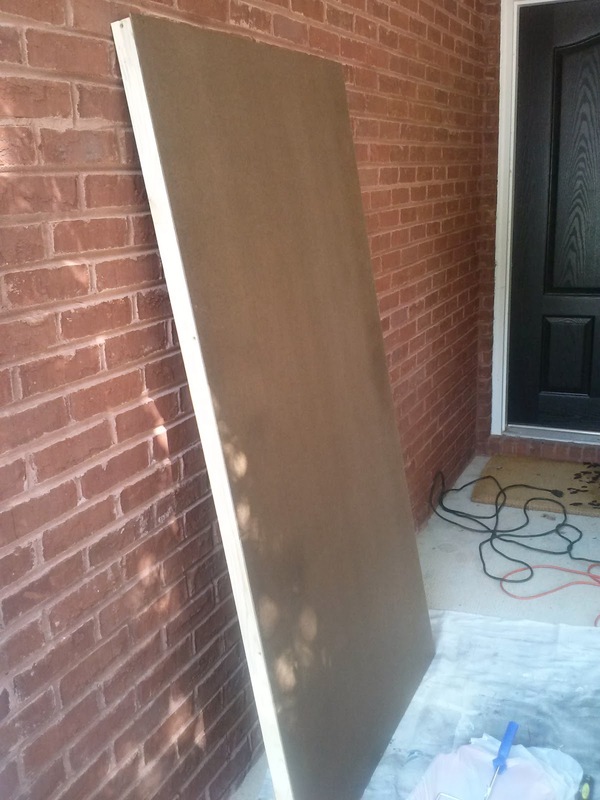 I wanted my outside trim to lie flush with frame, so I ended up buying a piece of trim that was 1/4"thick and the same width as my frame and just applied it to the overhanging edge. Next it was time to apply the chalkboard paint. 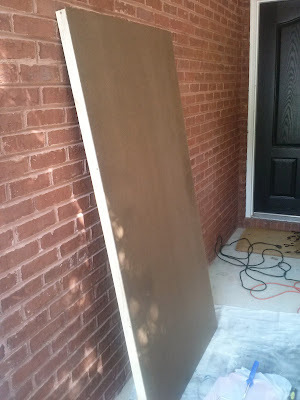 I let the first coat dry for two hours and the second coat overnight. The next day I went back to the store to buy trim. 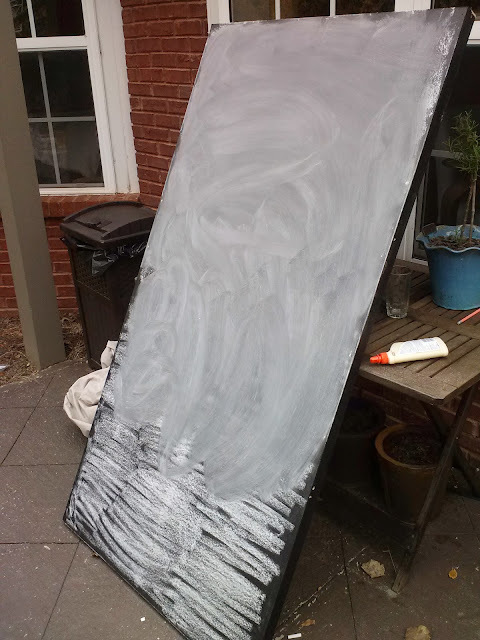 Before cutting trim, I 'seasoned' the chalkboard by rubbing chalk all over it. I was a bit worried about the roller lines showing, but they weren't really noticeable once the paint dried. And after 'seasoning' the board, I can't see them at all. 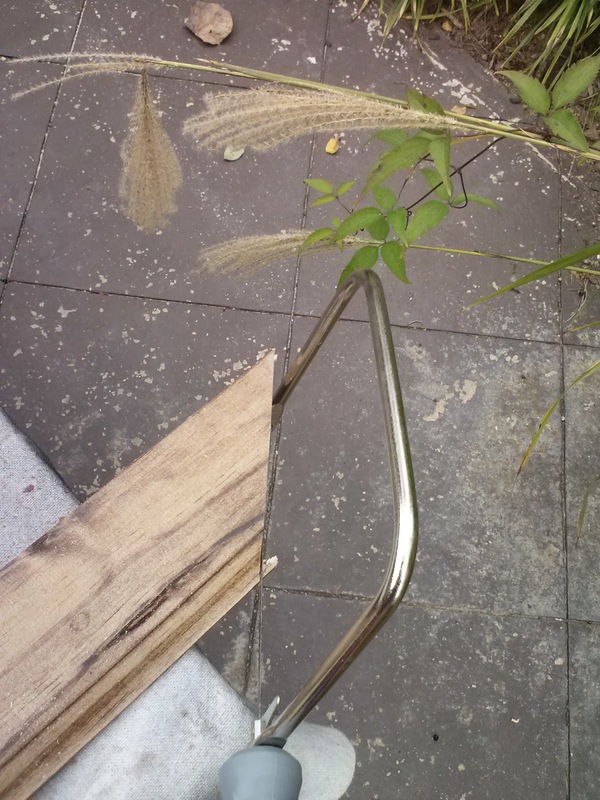 The solution was to use a coping saw to cut off that little bit of tooth. Please tell me I am not the only one who has these problems when doing DIY! I stained all of the wood before attaching it. I used 1x3 clear pine for the outer trim. This was attached with a nail gun to the original frame. 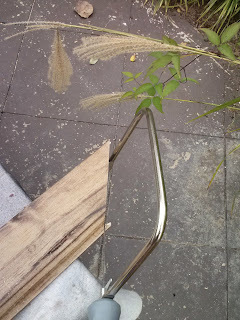 The outer trim was nailed using 1 1/4" nails and regular wood glue. Then I attached 3 1/4" pine baseboard molding to the inside face of the chalkboard. Since I wasn't going to be using any nails on the face trim, I used a liquid nails glue and applied two beads. After that I let it dry a bit and stood back and took a look. Not too shabby for two days of work. So, if you have been eyeing those chalkboards, or just love a good DIY, give it a try! And if you do, tag me on Instagram @oakhousedesignco! I'm off to hang this in the playroom. Update: The chalkboard is finished off and hung up. Check out how! 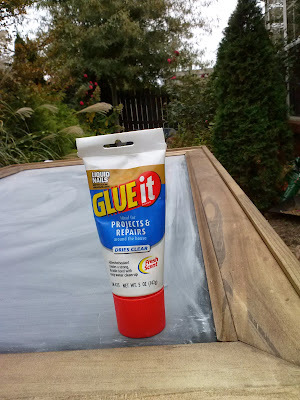 Linking up to Beth's Tutorials and Tips Link Party at Home Stories A to Z. Thanks Beth for the feature in 10 Tutorials and Tips Not to Miss! Haha! I know what you meant. Thanks, I love the price too!